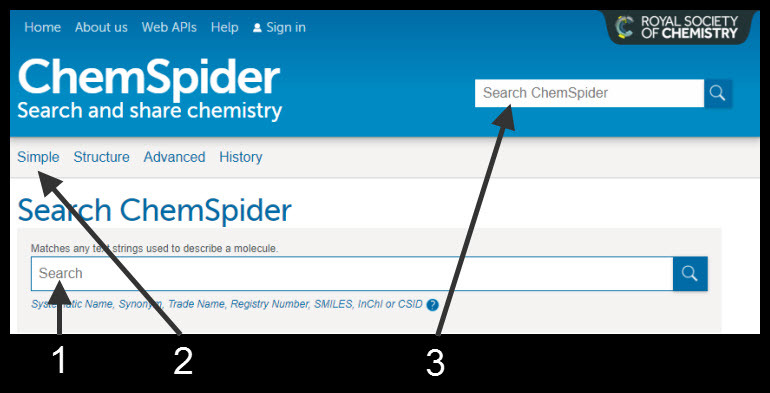 The procedure for conducting a variety of simple searches in ChemSpider are described below. Go to the More Searches menu and select the Simple Search option. As you type in the search box, ChemSpider presents a list of name that are already in the database that start with that fragment of text. eg Typing pipera presents a number of options including piperazine, which you can select by clicking on the term.